If you enjoy camping and spending time in nature, you either have a cooler or you actually need one. The market has seriously diversified over the last decade. While outdoor coolers do not represent something new, they are extremely varied. They come with all kinds of features, bells and whistles. At a first glance, the more sophisticated they are, the more appealing they appear. But do you really need all those fancy little things? There are a few key factors that you have to pay attention to. Everything else is just extra. Here is how to select the right cooler for your camping trip. What Type of Cooler Do You Want? What Do You Need the Cooler for? How about Bells and Whistles? What Are the Popular Brands? There are more types of coolers out there. Some of them are not worth being mentioned, such as foam, disposable or ice-less coolers. Basic coolers are classic and old fashioned. They usually come with some insulation around the lid – that is pretty much it. The good news is they are inexpensive – the bad news is they are not so efficient anymore. Soft side coolers might have more compartments and ensure a better organization, but the insulation is not so impressive. On the other hand, heavy duty coolers represent the ultimate choice in this industry. They feature lots of insulations, as well as tight seals. Lids may lock as well. They cost more and they are heavier to carry around. 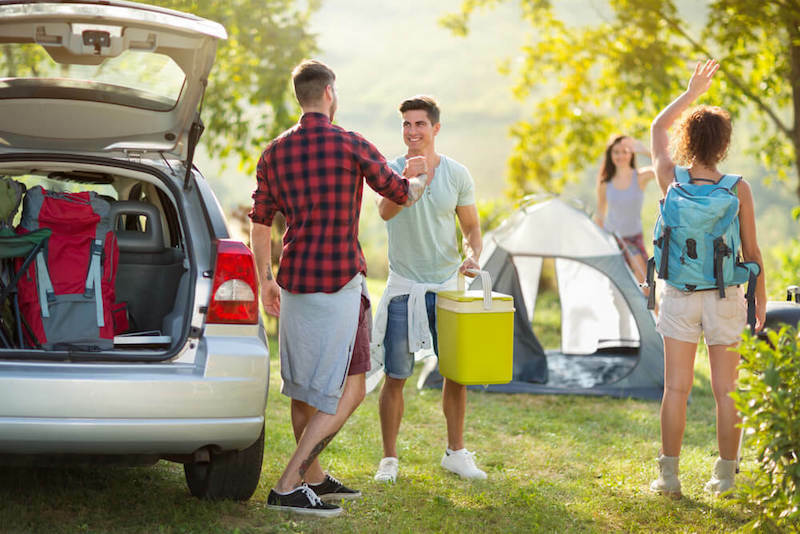 Choosing the right cooler for your camping trips depends on what you need it for. 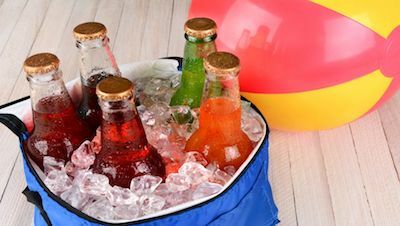 If you go camping four nights a year and you plan to keep drinks cool in the backyard for a Halloween party, there is obviously no reason to spend a fortune on a professional cooler. At the same time, a low end model will not necessarily work wonders if you like camping for more than a day. All in all, if comfort is your priority and you enjoy a cold beer by a campfire and fresh barbecue chicken the next day, you should certainly opt for a soft side model. Heavy duty models take it even further due to their sturdiness, so they can also withstand wildlife. Just like for everything else in life, you get what you pay for. You can get a basic or soft side cooler for less than a fast food meal or more than your weekly expenses on gas. It is all about the build and features. Heavy duty coolers are even more diversified. Some of them are easily affordable, while others cost a fortune. Think about your investment in the long run. If you buy a cheap cooler, you might need to drive to the nearest store for ice more often. Ice also costs money. Most people overlook this factor. It is also worth noting that heavy duty coolers are usually built with quality in mind, so they are likely to last for years. The biggest cooler is not always the best option. It can become a waste of money and space. Unless you run a catering business or you enjoy hunting big game, you are less likely to need a 300 quart unit. When it comes to camping, most people do it with their families, a few friends or coworkers. If you consume lots of alcohols or often hold parties with bunch of friends, then you might need more than 50 quarts. Otherwise, you should be fine in the 25-50 quart segment. Not sure about it? Buy all the food and drinks for a typical day out, stack it and use a ruler to measure the stack. Leave some extra room for ice and there you go – you know the right size. A bottom drain is standard in many coolers, but not in all of them. Without this feature, emptying melted water out of it will be a nightmare if it is full. You might find coolers with one handle and coolers with two handles. Opt for the ones with handles on each side – molded handles are even better due to their durability. A latch is useless if it is not strong enough, so pay attention to it. Its main role is to keep the lid sealed and preserve food and drinks for longer times. The size and camping habits should dictate whether or not you need wheels. 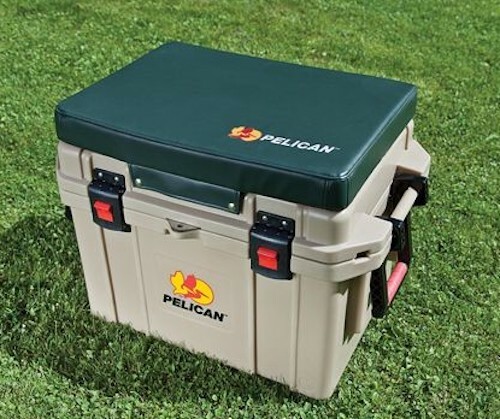 If you need a large cooler and you might move on your camping trips, wheels will add to your comfort. A lid gasket is a default feature in high end coolers. Its main role is to keep freezing temperatures for longer times – more common in coolers over 40 quarts. The ribbed bottom is another less popular feature in cheap coolers. It allows melted ice water to go under the food and not around it. While not mandatory, bells and whistles can and will make your life easier. For example, section dividers allow a much better organization. They are common in large coolers, but you may also find middle sized coolers with such features. Insert trays are similar. They usually slide in on top of all your items, right under the lid. Some people use them to keep small items handy and easy to find. Some others need trays to transport cakes or plates. Of course, they will reduce the bulk storage a bit. Molded drink holders represent an attractive feature, but you have to think about the logic behind them. Where do you usually keep the cooler when you go camping? Do you chill right next to it or is it out of the way? Unless you hang around it, drink holders will not really make a difference. Well, there are a lot of companies manufacture coolers. But it is worth noting that, Yeti, RTIC, Orca, Pelican (check out the models here) are some of the famous and well-known brands, have been existed for quite some time in this industry. Of course, their quality is up to expectation as well although the price is on the higher side. Rest assured that you are not going to regret your purchase from the mentioned-manufacturers. 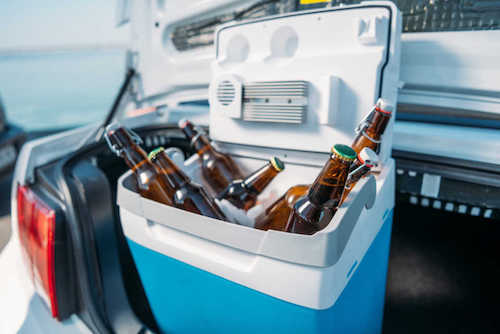 Bottom line, learning how to select the right cooler for your camping trip is a matter of education. It is also important to consider your previous camping trips and observe your needs. Make sure you go through a few reviews too before buying and stick to top rated items only.